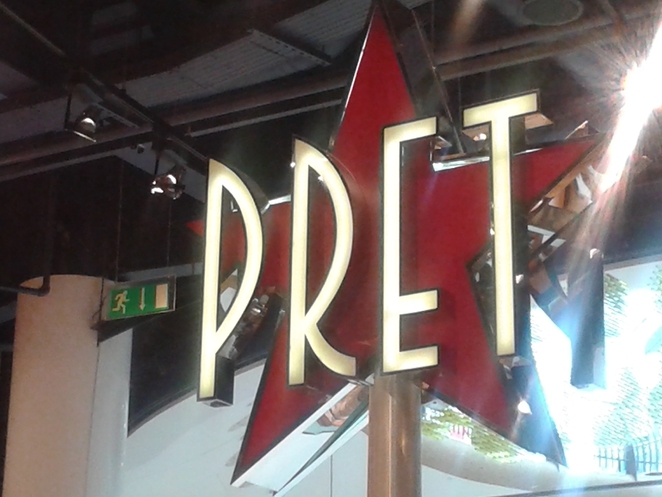 Pret a Manger in Selfridges Food Hall is a small but well-formed healthy eatery. Situated right at the front of the entrance, in between Yo!Sushi and RossoPomodoro, the French-named (but American owned), concession attracts the conscious eater with its clean typography and positive attitude to nutrition. They sell mostly sandwiches, (hot) wraps, salads and lunchtime nibbles such as dried mango and nuts. All of the pastries, fruit and nut bars are freshly baked, and the juices, tea and coffee are also made on site. The name 'Pret a Manger' means 'ready to go', which is exactly what the food is like – ready to be picked up and eaten as soon as your belly starts to grumble. Pret highlight the calorie content as well as nutritional values (saturated fat, sugar, etc) on all packaged food so if you are following a calorie restriction diet, you won't fall off track. 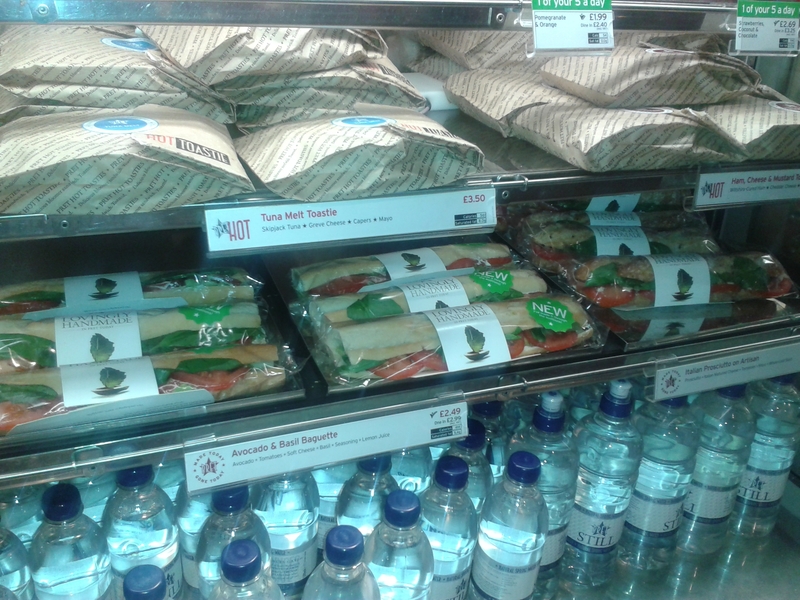 Pret is one of the more expensive sandwich lunches you'll enjoy. For a sandwich and drink expect to pay between £4.50 – 6.00. The menu changes every season and they only use natural ingredients to flavour. What stands out the most for me is that Pret make use of seasonal vegetables too, so the food is always good, and eating fresh produce is good for the soul. While they're mainly a lunchtime kind of place they serve breakfast, which comes in the form of porridge (with soy milk option), toast (wholegrain), breakfast muffins, and egg and bacon turnovers. I tend to frequent Pret because it's the nutritionally sound option. Most of the time Pret is the only place in town where I know I can quickly grab a salad that I know will be tasty, or a cup of soup that isn't bland because it's freshly made. 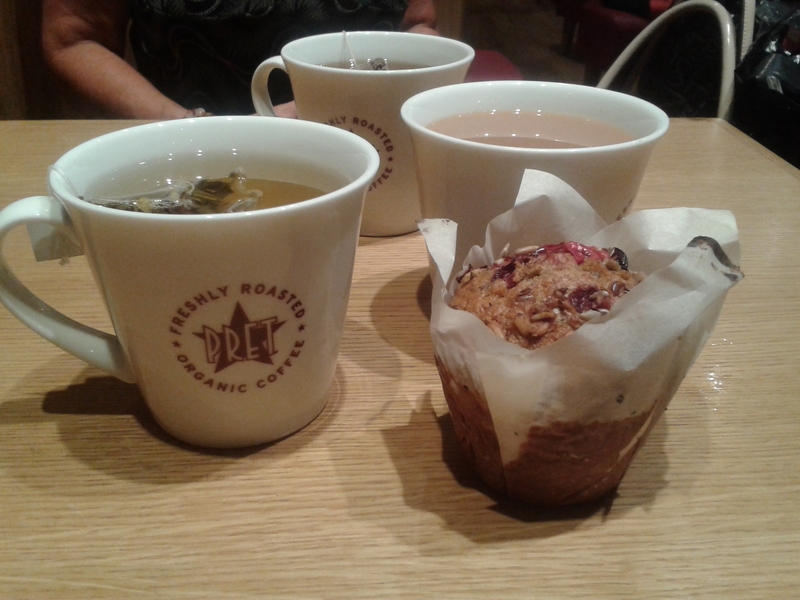 When I visited recently, my sisters and I decided to sit in Pret for a cuppa and a small bite while we awaited the arrival of our mom. We opted for a wholegrain muffin, and three small mugs of tea. 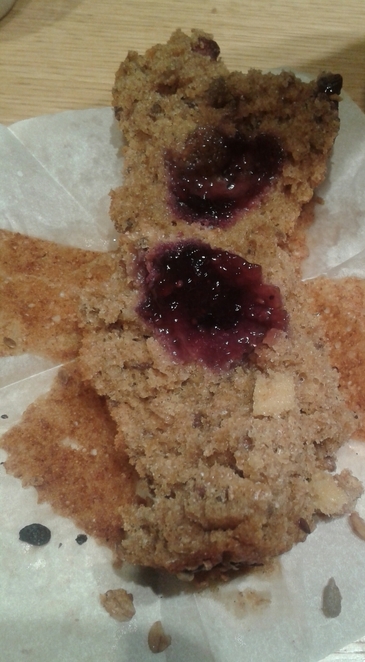 The muffin was delicious, it had a low sugar content and as we munched the outside, we discovered it had fresh a raspberry sauce in the middle. Unlike a lot of café- come-sandwich shops in the centre, my green tea wasn't the usual bland stuff. Surprisingly, they use silk teabags, and my little mug of green water was tropical flavour, which made it all the more refreshing. Even though Pret is a chain, the Selfridges Food Hall one is possibly my favourite because it's very airy and spacious. This particular concession has a lot of floor space, so queuing isn't so much of a pain. Nonetheless, Pret in the Food Hall is always full but it's no surprise when a healthy, yet filling, lunch is at the top of everyone's agenda. If you're in a group and visiting at lunch time then be prepared to forgo a seat or a table – they always fill up. Be aware, Pret charges an extra 50p if you 'eat in' - but then again, if you're paying £5.00, what's an extra 50p for a damn good sandwich?